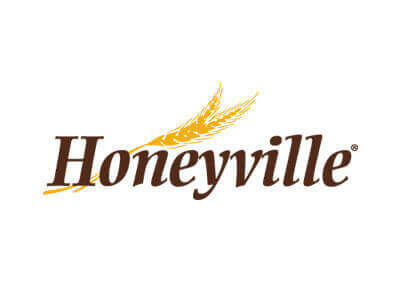 Honeyville’s story began in a mill in Utah right after World War II and has been expanding ever since. It started with high-quality flour, but the company has been growing over the years, so now they offer everything from baking necessities to emergency kits. Honeyville puts in extra effort in providing exquisite long-lasting food for their customers. You can get ready for camping or any kind of natural disaster in just a few clicks, as Honeyville offers excellent storage food for any occasion or emergency. Check out our in-depth Honeyville review and learn more about their products. Honeyville offers only first-class products for their many customers. No matter what products from their wide assortment you choose, you certainly won’t regret it. 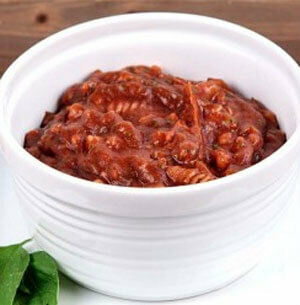 Their meals and ingredients are ideal for people looking for wholesome, healthy food to stock. They offer GMO-free, organic products for any occasion. Honeyville recognizes the need of their customers to store food for unexpected events. Therefore, they provide an extraordinary selection of freeze-dried and dehydrated food for any taste. You can opt for high-quality meat, vegetables, fruits or powders for your personal storage of food. There are even ready-made meals in Honeyville’s exceptional list of products. You can prepare for the worst by storing some precooked delicious meals – not only are these dishes tasty, they’re also long-lasting. The shelf life of emergency meals from Honeyville is always between 10 and 15 years. One more advantage of Honeyville is diversity. Anyone who wants to prepare for a catastrophe can rest assured that any food from Honeyville can increase their chances of survival. In addition to dehydrated and freeze-dried food, Honeyville also offers canned food, whole grains, baking ingredients, corn products, and much more. If you aren’t quite sure what products to purchase, Honeyville can help. They feature a weekly blog on preparing for emergencies and storing food. This blog series is called Food Storage Friday and it can be very useful for first-time preppers. In the blogs, you can learn more on how to prepare for extreme cold or any natural disaster or how to prepare everything that’s necessary for you, your kids, and your pet. Honeyville has a piece of advice for anyone and for any situation. Honeyville also offers free membership and gives you points for every purchase you make. You get 1 point for each $1 you spend on their products. Your points can be used for future shopping. They have an excellent referral program as well. Whenever you refer Honeyville to a friend and they make their first purchase, you receive some points. Honeyville doesn’t exclusively offer emergency packages and storage food. Their food and ingredient selection is incredibly large and you’ll need some time to explore everything they have to offer. To make it easier for you to find what you need, Honeyville has separated their products into 10 different categories. They also have a list of all new products. Their offer contains the following sections: bakery, beans & peas, drink mixes, flours, freeze dried food storage, gluten-free products, grains, rice products, seed products, and soy TVP (texturized vegetable protein) products. Although all products look extremely appealing, our Honeyville review will focus on storage food, so we’re going to pay close attention to the freeze dried food storage section. If you think that preppers are doomed to tasteless dried food and canned beans, Honeyville will prove you’re wrong. Honeyville offers an amazing variety of food you can store in your pantry or shelter. Anything you can think of can be freeze-dried and perfectly packed for long-term storing. Honeyville offers dried dairy, grains, rice, peas and freeze-dried meat, vegetables, and fruit. There are even precooked emergency meals, snacks, and combo packs. The dried dairy section features much more than regular powder milk. There is also soy, as well as nonfat, chocolate, and buttermilk powder. Each of these powders has a shelf life from 3 to 5 years, but there’s also a long-lasting instant milk alternative powder for serious preppers that has a shelf life of 10 to 15 years. 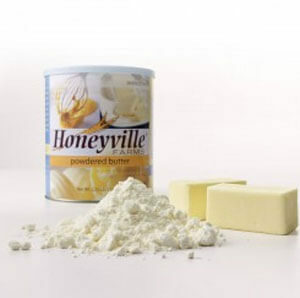 Honeyville also provides powdered egg whites, whole egg crystals, powdered butter, and freeze-dried cheese. With Honeyville, you can make sure your family eats healthy during any disaster by stocking up on freeze-dried meat, vegetables, and fruits. Honeyville has food ranging from onions and zucchini over raspberries and pineapple to beef and chicken. Honeyville also has a little something for everyone with a sweet tooth. If you find yourself in an emergency situation, you definitely deserve a treat to cheer up a little bit. Therefore, Honeyville has prepared instant puddings, peanut butter powder, and even freeze-dried chocolate ice-cream. The most interesting items on the menu are certainly emergency dried meals. Honeyville offers excellent survival precooked meals that only need some hot water to be ready to eat. You can choose from a wide range of delicious meals with an extended shelf life. Each item can be stored for 10 to 15 years, as long as you keep it sealed. The prices are pretty affordable, ranging from $9.09 for a 1lb can of egg noodles to $33.89 for a 2.5lb can of Ranchers Cut Rotini with Beef Sauce. You can also get an amazing Hearty 120-serving Entree Bucket that costs only $269.99. Excellent emergency kits are also very affordable. There are 6 different combos that can cover any unpredicted emergency or simply make your camping trip easier. You can choose between Flavored TVP, Dried Dairy, Freeze-Dried Vegetable, Freeze-Dried Fruit, Freeze-Dried Meat or Emergency Meal Combo, or simply buy them all. Honeyville delivers their extraordinary products all over the United States. 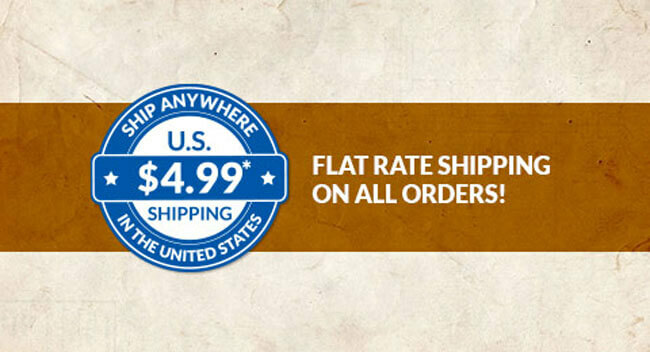 They send packages via UPS and charge only $4.99 for shipping to any address in the contiguous US. They also send shipments to Alaska and Hawaii, but the shipping fee is higher in that case. You can order as many products as you want. It’s possible to order online or you can call them directly and ask anything you want to know about your shipment. In case you’re not satisfied with your order, you can return the unpacked products and get a refund. Honeyville accepts complaints within 60 days of purchase and offers a refund or replacement for any damaged items. If you decide to order online, there are several ways to pay for your shipment. They accept all major credit cards, as well as PayPal payments. There’s also the option to print and fill Mail Order Form and send it along with a check. Honeyville isn’t your common supplier of survival food. Their offer is beyond extraordinary. Besides the expected canned food and milk powders, there are also numerous precooked meals. Browse through Honeyville’s product list and find everything you need for your pantry. Prepare for a family camping trip or store enough food for an unexpected disaster. With Honeyville, you don’t have to worry that you won’t be prepared for an emergency. Honeyville is my first choice when it comes to storage. I like to stock everything I might need in the case of any emergency and Honeyville is of immense help. Water bricks, dried fruit, cooked meals, definitely anything I can think of. Keep it up! Simply, love ‘em! That food is really good! I couldn’t believe my mouth when I’ve tasted those noodles for the first time. Delicious! And ice-cream, that was actually what got my attention in the first place. I couldn’t believe it. But now I do, and you should too. I like the products, especially those sweet stuff like chocolate milk and pudding. Even if there was a disaster that could keep me locked for years, I know that pudding could cheer me up and keep me up. Good, good, good! Their blogs are great, really helpful stuff. You know, we often forget the most important, basic things, that’s why we need blogs on prepping. And Honeyville has some pretty good ones. I’d like them to put some more survival food on the menu, though.